In order to reduce risks and increase the speed of new information technology (IT) product or service development as well as to satisfy customers’ demand, end users’ involvement has become one of the most important issues. The chapter aims at the presentation of the user role in information system development and the activities of prosumers in e-learning. The first part of the chapter covers literature review referring to studies on end users’ involvement in the information system (IS) development process. In the second part of the chapter the opportunities of prosumption development on the Internet are discussed. Particularly, the author focuses on e-learning purposes development and IT-supported communication among e-learners. 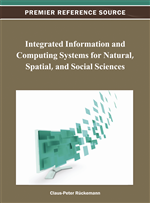 The third part of the chapter covers a proposal of the architecture model as well as a discussion on methods of information system design for the prosumption development. As consumerism rises, traditional development models are unable to quickly and accurately satisfy the needs of customer. Therefore, it is necessary that customers play a critical role in the manufacturing, research and marketing process. Companies invite them to the value exchange processes and treat them as partners in product development processes. Prosumption i.e. the dual roles played by the customer as a provider as well as a consumer (Matthing et al., 2004). Willing to work on backlog tasks, because they can be easily guided in writing use cases and gathering evidence concerning their demands (Schiel, 2010). The chapter is to support the creation of a theory of activation of IS users for co-development of information systems values in e-learning area. Therefore, social interactions, perceived IS development methods, their accessibility, transparency and risks are discussed. The second part covers analysis of e-learners activities and their communication problems. The last part aims towards proposal of information system architecture model. Community users (Tidd & Bessant, 2009). Lead users are defined as members having two characteristics. First, they anticipate obtaining relatively high benefits from developed solution according to their needs. Second, they are at the leading edge of important trends in a marketplace under study. Normal users are less involved in the development process. Although normal user involvement might help provide innovative ideas, the limited understanding of new technologies could threaten the executability of the ideas, therefore there is a need to carefully select normal users for further co-development of products. Community users, unlike normal users, usually seem to have expertise in a specific field. They are interested in information technology and are willing to spend more time online on innovations. Organizations are now exploring ways to ensure a platform (i.e. Website) through which users can generate and contribute content, resulting in a cooperative experience between users and organizations. Thus, the research questions guiding the chapter concern the user role in information system development and the activities of prosumers in e-learning.